Any vigilant car shopper should take the time to compare the vehicles that interest them in a particular segment. 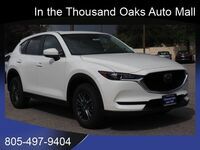 For example, comparing the 2019 Mazda CX-5 vs the 2018 Toyota RAV4 shows that the former outshines the latter in several areas. 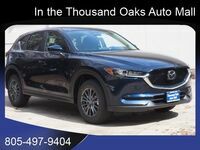 While both SUVs have a lot in common at first glance, looking at their performance ratings and offered interior features reveals several key differences. 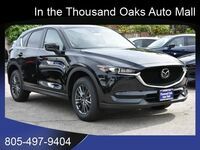 The 2019 Mazda CX-5’s base powertrain, a four-cylinder, 2.5-liter engine, has an output of 187 horsepower and 186 pound-feet of torque. This is nine more horsepower and six more pound-feet of torque than the 2018 Toyota RAV4’s own four-cylinder, 2.5-liter engine. This difference in power corresponds to better acceleration and added responsiveness, especially on the highway. 186 ft-lbs. Standard Torque 172 ft-lbs. 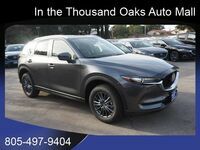 Numerous premium technology features and systems can be installed in the 2019 Mazda CX-5 that aren’t available for the 2018 Toyota RAV4. 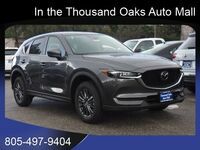 The 2019 Mazda CX-5 features an available head-up display, offered in both the Grand Touring trim’s GT Premium package and as standard equipment for Grand Touring Reserve models. Differences in smart device integration should be considered as well. 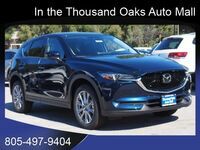 While the 2019 Mazda CX-5 provides passengers with up to four USB ports depending on trim level, all 2018 RAV4 models include only one USB port. 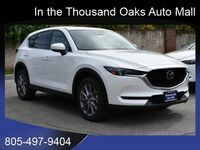 In terms of phone connectivity, the 2019 Mazda CX-5 supports Apple CarPlay and Android Auto while the 2018 Toyota RAV4 lacks support for these services. 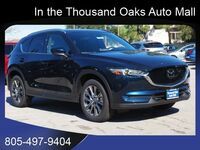 2019 Mazda CX-5 exterior color options include: Eternal Blue Mica, Deep Crystal Blue Mica, Jet Black Mica, Sonic Silver Metallic, Machine Gray Metallic, Snowflake White Pearl Mica and Soul Red Crystal Metallic.